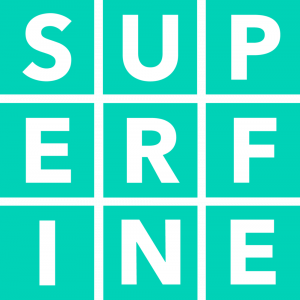 I am pleased to announce that I am now a contributing writer to the Superfine! Art Fair Blog. You can read my very first article HERE. In this article I interview six contemporary surrealist artists who will be showing at Superfine! DC in October. Their work is mesmerizing– you do NOT want to miss this one. I discovered Superfine! in Miami during Miami Art Week 2017. My eyes were opened to a different kind of art fair, one where artists can represent themselves, walls can be painted pink, and prices are transparent. (*Collective gasp! *) I wrote a glowing review of the fair, and was later put in touch with the founders of the fair, Alex Mitow and James Miille. Several months later, I featured them in an interview, and also wrote an in-depth advance on Superfine! New York. At the opening party I met Shamona Stokes and Dolly Faibyshev, two artists whose work I’d analyzed, and purchased their work. Talking to them made me fall even more deeply in love with their art. THAT is the Superfine! effect. Walk in an art lover, walk out a collector. Stay tuned for my next article! And be sure to pick up your tickets for Superfine! DC.